More likely to attract admiring glances than a BMW 3 Series or Audi A4. Even the diesel is good to drive. Interior feels cheap. Some faults have been developing. The Alfa Romeo Giulia certainly looks the part. It's aggressive, sleek and distinctive. What's more, on paper at least, there is a Giulia for everyone, with the range encompassing everything from efficient diesels to supercar munching V6 petrols. As you might expect, the diesels will dominate the sales, with the majority of Giulias being aimed at fleets and family buyers. 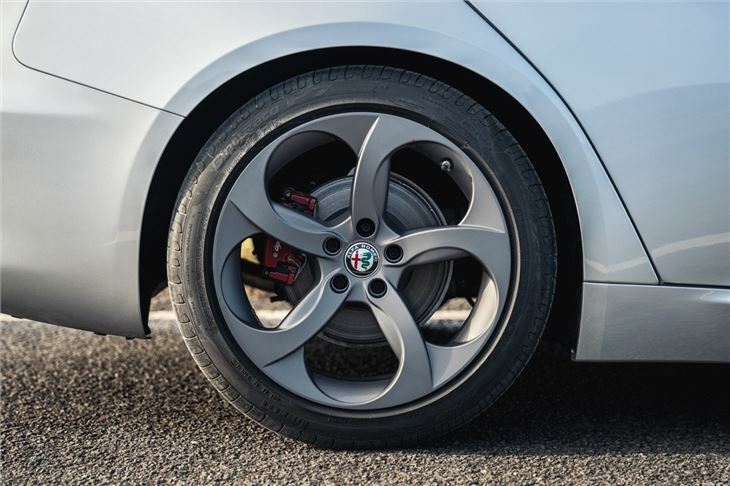 Like all rear-wheel drive Alfas, the Giulia is very much geared towards driving pleasure, with firm suspension, responsive steering and a torque packed engine. The four-cylinder unit is all-new and produces a considerable 450Nm from 1750rpm. Claimed economy is impressive - which is good news for company car drivers. 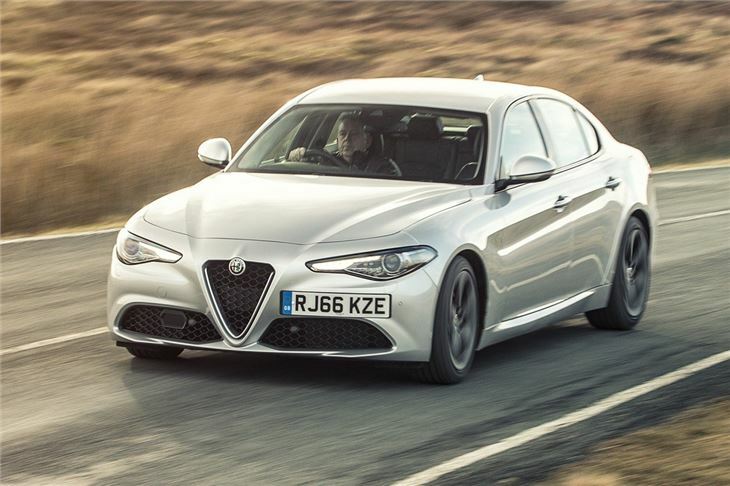 Officially, the diesel Giulia will return more than 65mpg which is on par with its rivals. 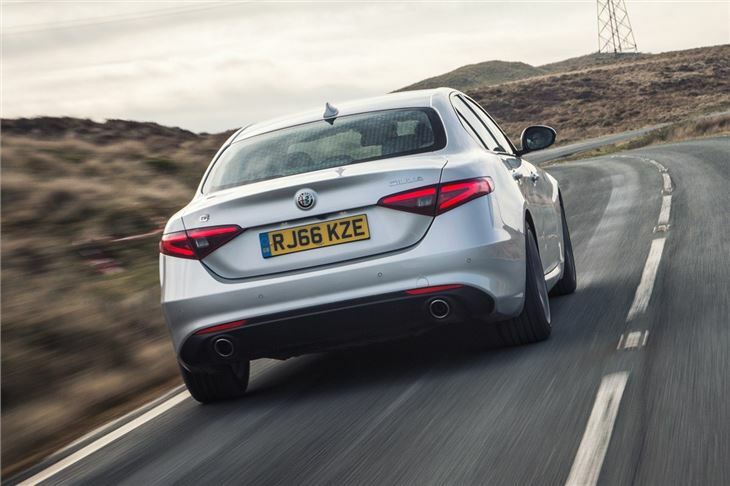 All 2.2 diesels get an eight-speed automatic gearbox as standard, which delivers power to the rear-wheels with smooth precision, making it easy to take advantage of the Giulia's grippy and balanced chassis. The fit and finish of the cabin isn't as good as German rivals, but it's an improvement over previous Alfa Romeos. The infotainment isn't anywhere near as advanced as those found in a BMW, Audi or Mercedes-Benz. A 6.5-inch screen is mounted in the dash and, while it is clear enough to read on the go, the graphics look blocky and dated. We'd fork out the extra £300 required for Apple CarPlay and Android Auto as a way of avoiding Alfa's own infotainment system. Space is reasonable, with enough room for four adults at a push. 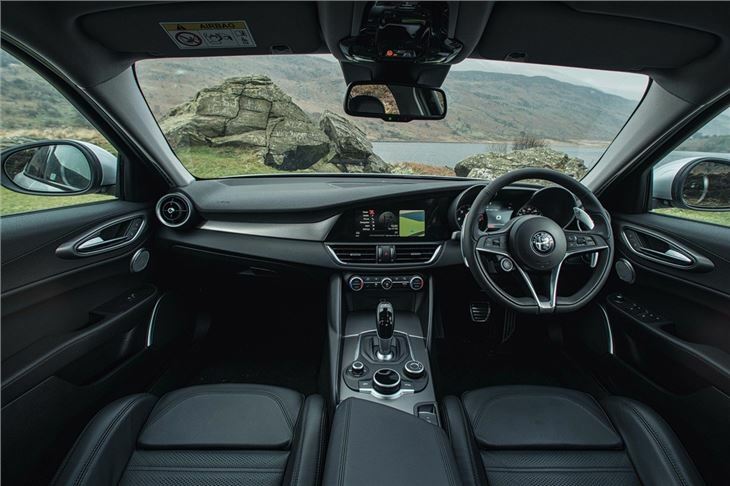 The boot's good, with 480 litres - although a shallow boot opening can make fitting bulky items in tricky and only the higher-spec models get drop-down rear seats. 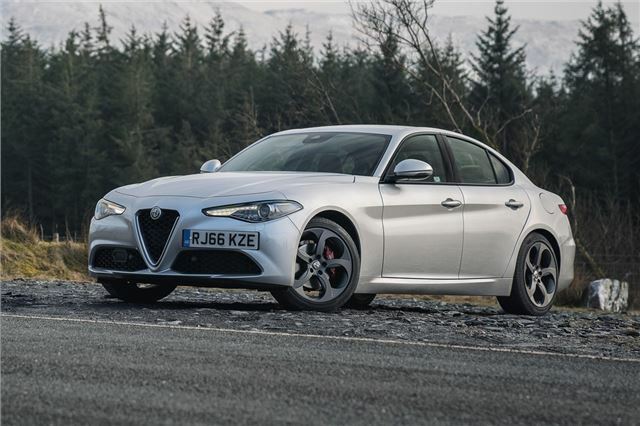 That's not to say you should dismiss the Alfa Romeo Giulia outright. 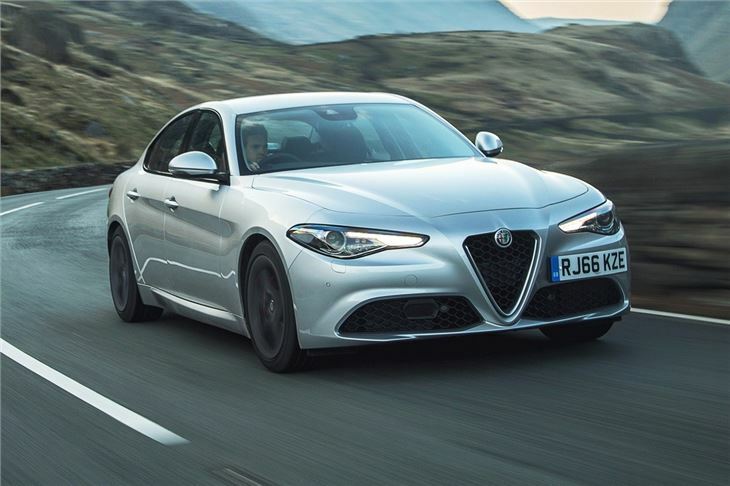 It has some very likeable traits that make it a genuine alternative to the mainstay of otherwise bland looking upmarket saloons. 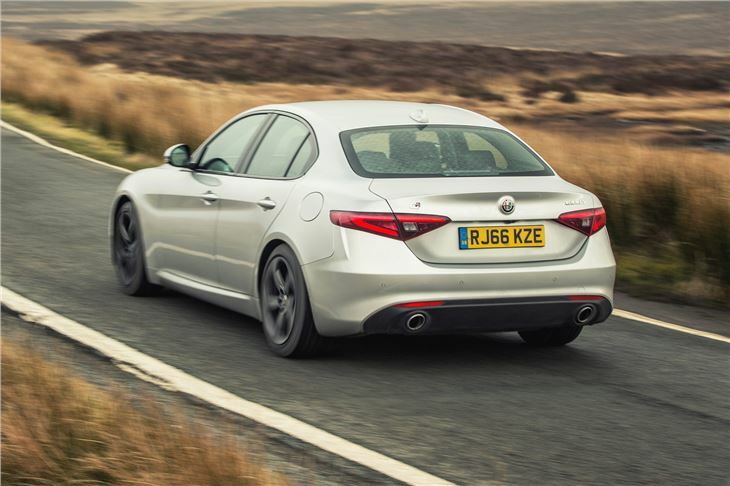 We should also point out that the Giulia boasts superb handling.